SLO County 3rd District Supervisor Adam Hill recently took some prominent local businesses to task in a heated email exchange for not donating to his political campaigns. 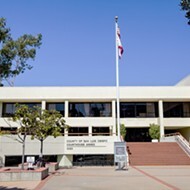 The recipients of the emails included Hill and employees of well-known businesses, municipalities, and nonprofit organizations, at least two of which have either pending business before the Board of Supervisors or receive financial support from the county. 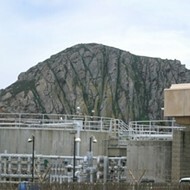 The exchange began July 30 after Lenny Grant—a principal architect at RRM Design Group, an architecture firm that’s worked on several high-profile projects in SLO County—commented on a news article about desalination forwarded to the group by SLO County Economic Vitality Corporation (EVC) President and CEO Michael Manchak. Manchak indicated that the county could produce water with a similar project, and Grant replied that political will and leadership would be necessary. 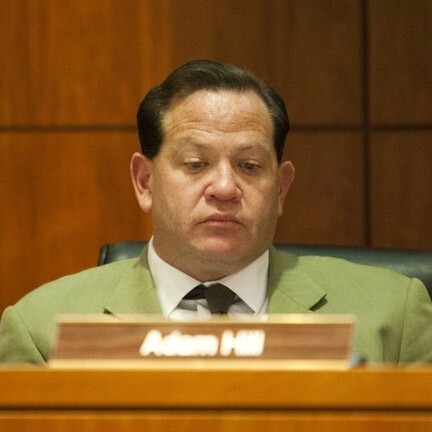 ‘YOU GET WHAT YOU SUPPORT’: In recent emails obtained by New Times, SLO County 3rd District Supervisor Adam Hill slammed local businesses for failing to financially support candidates, including himself. RRM has provided architecture and engineering services for a number of large commercial and public building projects in the county. Currently, the firm is one of two parties appealing the SLO County Planning Commission’s decision to deny a permit for the Laetitia project, a planned subdivision of high-end ranch-style homes near Nipomo. 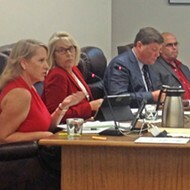 The appeal is slated to go before Hill and the other county supervisors at an Aug. 23 meeting. Campaign finance documents show that neither Grant nor RRM contributed to Hill’s campaign in 2015 or 2016. The spat played out in front of the other recipients in the group. 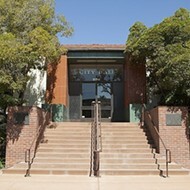 Those included Cannon Corporation Engineering consulting firm CEO Michael Cannon, Cannon CFO Bruce Ray, RRM principal Victor Montgomery, SLO City Economic Development Manager Lee Johnson, Wallace Group engineering firm Principal Brad Brechwald, and others. Two members of the SLO EVC, Manchak and Director of Economic Development Melissa James, were also part of the email group. The EVC is a nonprofit organization funded by both private and public sponsors, including the county. According to the EVC’s website, SLO County was one of the EVC’s biggest sponsors, chipping in more than $150,000. Not everyone in the email group got a tongue-lashing. 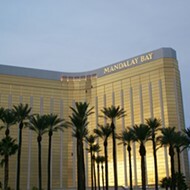 Hill noted that Cannon and Brad Wilde, the president of Arizona-based Mira Vista Holdings who was also included in the email group, were exceptions. Cannon Corporation donated $2,000 to Hill’s re-election campaign, while Cannon himself donated $1,000, according to campaign finance records. Wilde has personally donated $7,000 to Hill’s campaign over the last two years. Hill also praised two of his biggest donors, local developers Nick Tompkins (NKT Commercial) and Gary Grossman (Coastal Community Builders), who were not included in the group of email recipients. “More business leaders should be like Nick Tompkins and Gary Grossman who never feel like they have to make excuses to support me, do so generously, regardless of whether we agree on everything or not,” Hill wrote. According to campaign finance reports, Tompkins personally donated $5,000 to Hill’s campaign between 2015 and 2016. Grossman donated $5,050 in monetary contributions, and more than $14,000 in non-monetary contributions for the same two-year period. 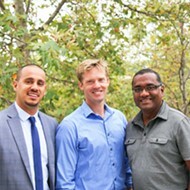 During the campaign Hill has faced criticism from Carpenter over his temperament and his close ties to area developers. Hill did not respond to multiple requests for comment about the emails. Many of the individuals in the group who recived the emails—including Grant, Cannon, Wilde, and Manchak—also did not respond to request for comment from New Times.